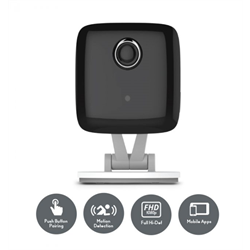 Add a VistaCam 900 to your VeraEdge, VeraPlus or VeraSecure to enjoy indoor monitoring of your home or small business, kids, pets or whatever you value. This security camera is designed to be easy to use with Vera systems. 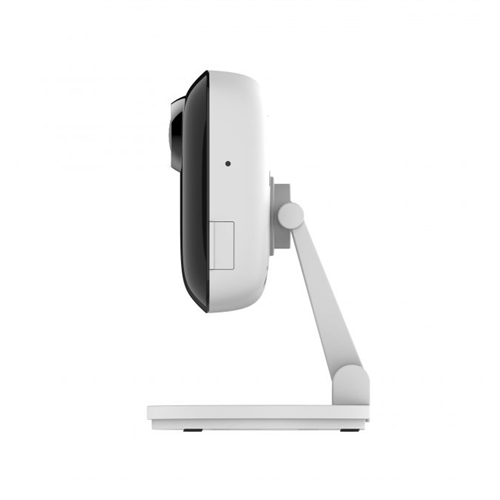 It can use a wired Ethernet or WiFi connection to your network. Capture full HD 1080p colour video. If not enough lighting is present, the built in infrared LEDs turn on and night vision mode is engaged so the camera can see in pitch black if needed. Watch live video, or record it to the Vera Cloud and/or on board 8GB storage. A built in microphone also enables listen-in audio.